How Do Financial Literacy Classes Work? An Interview with Pier Alsup — How Do You C.U. Financially literate: The possession of the set of skills and knowledge that allows an individual to make informed and effective decisions with all of his/her financial resources. Although most states aren’t required to offer a financial literacy course through high-school curriculum, interest in financial literacy has risen since the 2008 financial crisis, which has left communities in need of providing a financial education of some kind. 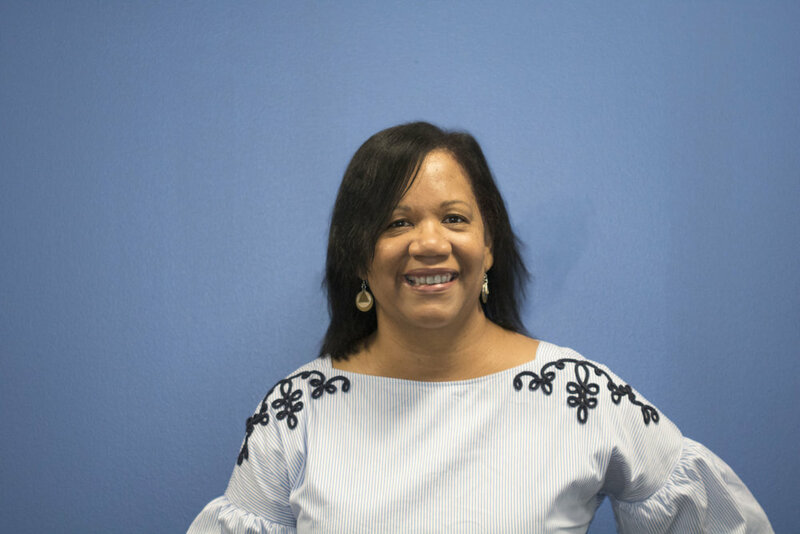 Pier Alsup, Chief Community Engagement Officer at Anheuser-Busch Employees’ Credit Union (ABECU), has been working in the financial service community for more than thirty years. Along with her experience as an adjunct professor at Washington University, and a volunteer on the board of directors for The Soulard School and Boys Hope Girls Hope, she has more than fulfilled the title bestowed on her from this interview—Financial Education Expert. 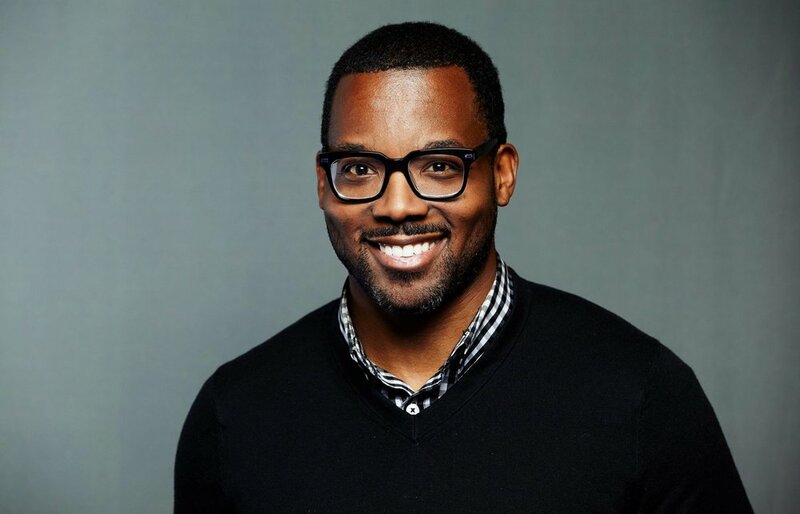 Alsup has led financial literacy workshops and classes from elementary age to adults, and through the American Eagle Credit Union Foundation (AECU Foundation), has served more than 2,000 individuals in the community so we had an interview to answer one big question: How do financial literacy classes actually work? K: Tell us what financial literacy resources are offered through the AECU Foundation and the credit union. PA: We offer an array of options that I like to call “Education and Empowerment Opportunities” for many different age groups: from elementary and middle school children to high school and college students and adults. Depending on the group, we can conduct presentations, workshop classes, participate in local events, or partner with other financial educator(s) in the community. We also offer numerous free resources available to everyone through our website. K: What is the AECU Foundation working on now in regards to financial education? PA: The foundation is focusing on budgeting and personal finance seminars and workshops, not just for our membership, but for the entire community. They’ve been very well-received. Our most recent budgeting seminar was filled quickly, so there’s clearly a need for it. The AECU Foundation presenting a financial seminar to the St. Louis community. K: What can people expect to learn by attending these seminars? PA: We tailor the seminars to start, anywhere from home-buying to college planning. These are discussions designed for the people who need them, presented by our certified financial education instructors. Depending on the topic, we ask a product expert from the credit union to speak as well as give additional details and assistance. K: Why is financial literacy important? PA: Financial literacy is important because it enables consumers to make wise decisions in key areas of personal finance, such as credit and debt management. Being educated on these topics is essential in order to make responsible financial decisions. Pictured: Pier Alsup of ABECU with Lift for Life Academy students. The AECU Foundation hosts fundraisiers in order to donate supplies and resources for financial literacy programs at schools and organizations in the St. Louis community. K: What is your advice for people who want to teach or learn more about financial literacy? PA: It depends on the group. If you’re speaking to a younger group or person, hands-on activities, interactions and presentations really help—especially when paired with positive parenting financial behavior. In high school, it’s important to add financial literacy education to the curriculum. With adults, specific topics are key, like home buying, debt management, or retirement planning. It’s important to mention that if a person did not have great financial habits when he/she was younger…it can be difficult to change behavior. So it’s important the credit union go a step further to assist adults, by offering products to encourage and empower people to change their financial behavior. 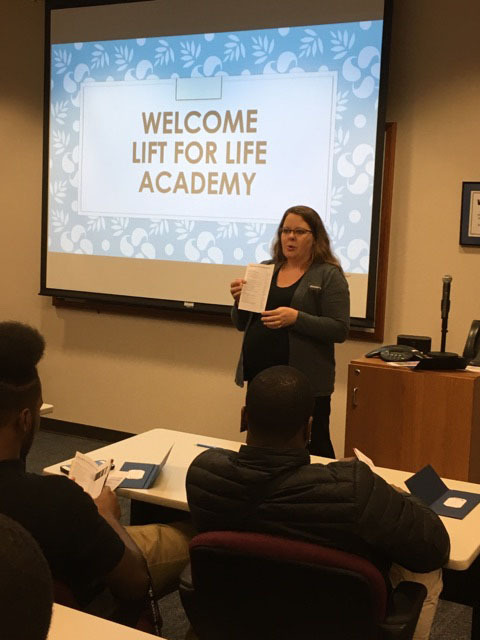 Ashley Hampton of ABECU presenting to Lift for Life Academy students. K: As a financial educator, what are some of the challenges facing you today? PA: For adults, the challenge is definitely changing behavior. For younger people, the challenge is keeping them engaged in the subject and relatable. K: What are some common financial misconceptions? I think a lot of people are surprised when they sit down to map out or itemize where their money was spent in a month. The credit union’s online banking has a great tool that helps show how personal finances are spent and can put money management into perspective. Writing your income and expenses down really helps. K: What can people do to educate themselves on becoming more financially responsible? PA: Education is available! Look for free resources online or workshops being offered in the community from a credible source. There are many free options available and general information from a trusted organization should never require payment. Share what you learn, make it a family affair. Everyone in your household can have a budget and work on it together! Ready to start your financial literacy journey? Visit our free, online Resource Center and check out our Events page for future financial seminars. Are you a member of the credit union? Applying online is fast and easy!